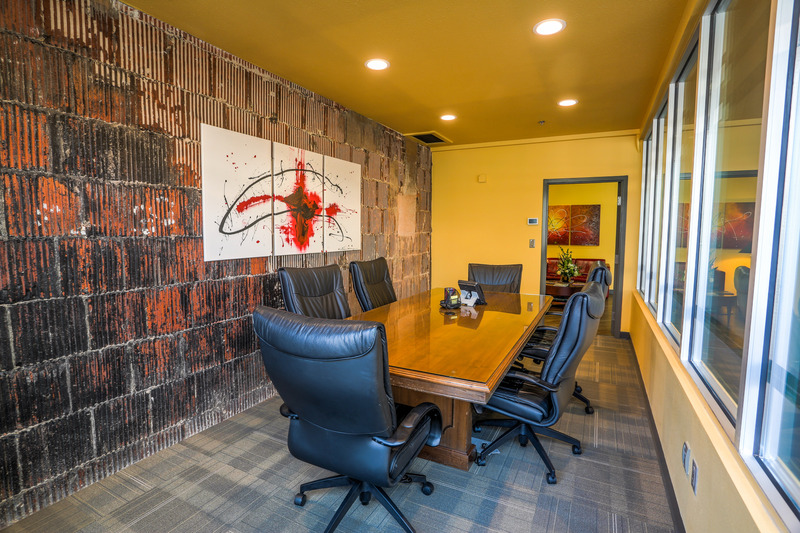 A carefully crafted design with refined materials and acute attention to detail, Peterson & Myers’ new office in Winter Haven is the successful merging of two office environments into a unified, modern office arrangement. 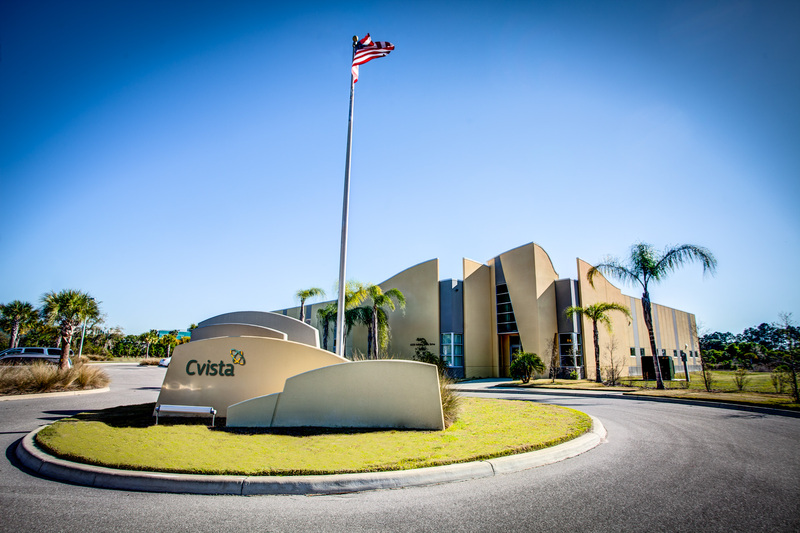 The firm decided to consolidate their Lake Wales and Winter Haven offices into a single location, creating an open office space that would appeal to both up-and-coming lawyers and a future generation of clients. 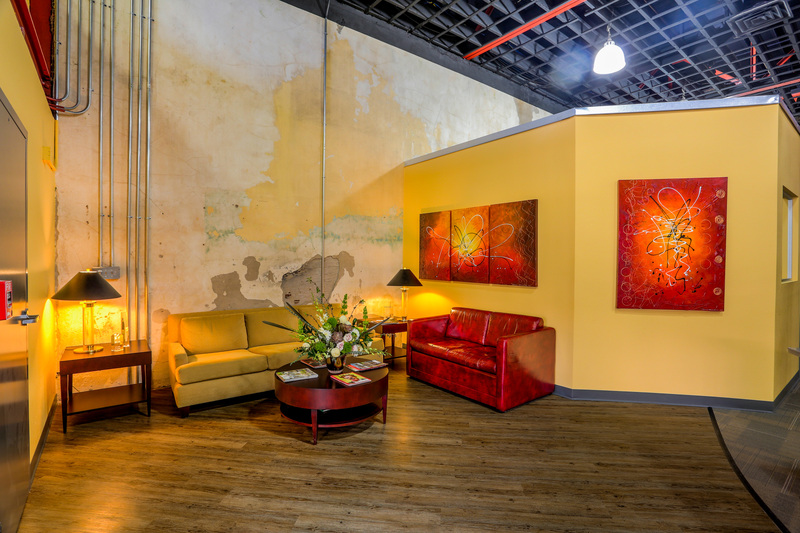 WMB-ROI, in conjunction with Everett Whitehead & Son, Inc. Construction, was brought on as the interior design consultant, handling paint and material selection, furniture layout, art consultation and lighting design. 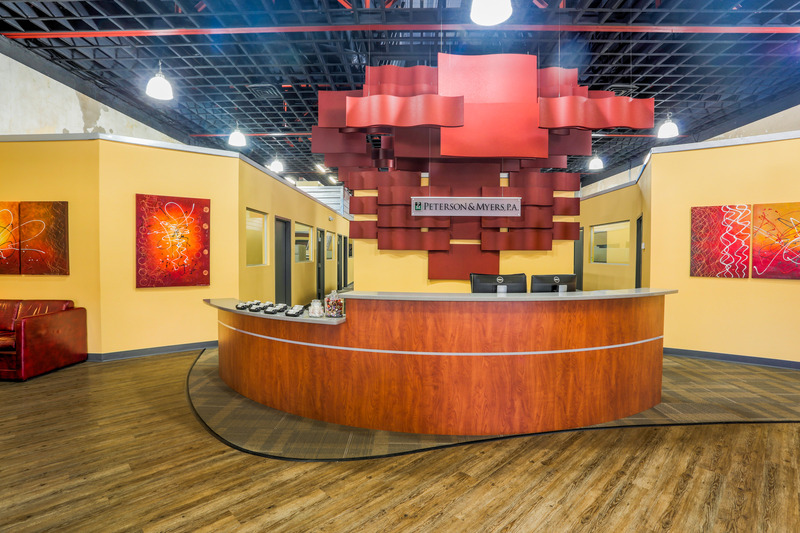 WMB-ROI worked with a local fabricator to produce custom millwork for the lobby’s interior design, creating a focal point with the reception desk. 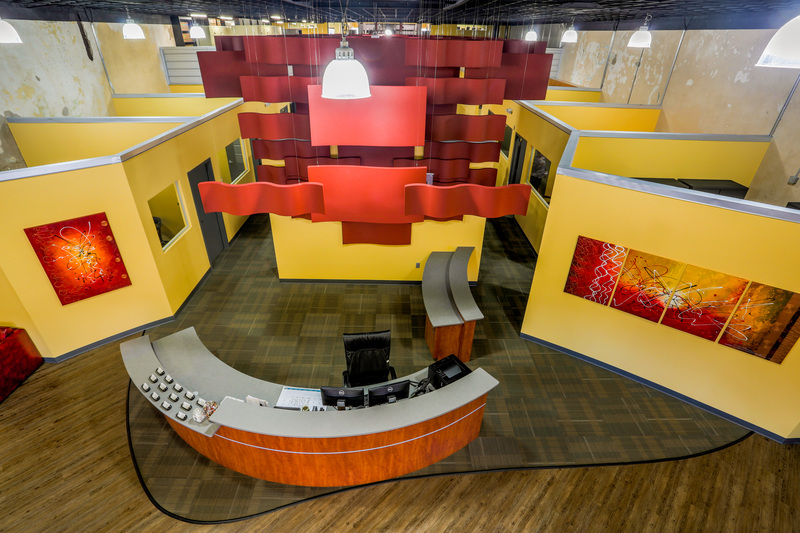 The desk’s curvilinear design is mirrored by curved acoustical baffles above that flow from wall to ceiling, helping mitigate sound pollution in a subtle, elegant way. 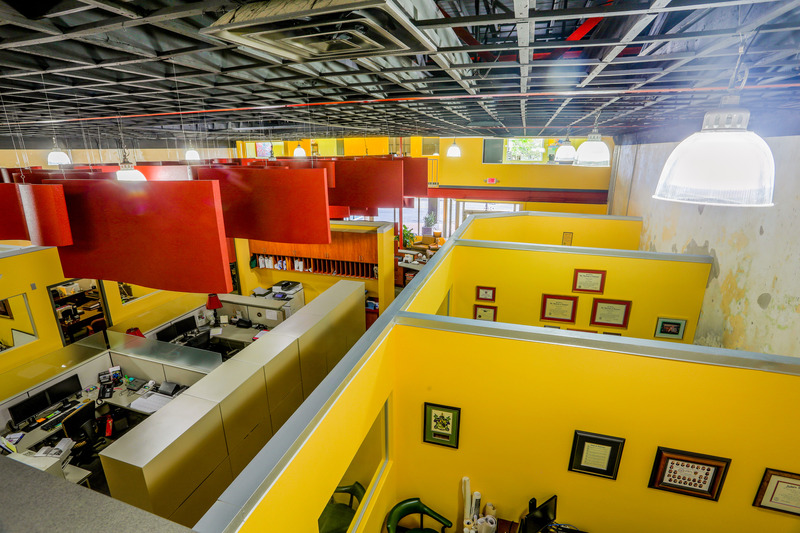 The existing light fixtures were then lowered to accommodate the height of the baffling throughout the entire space. 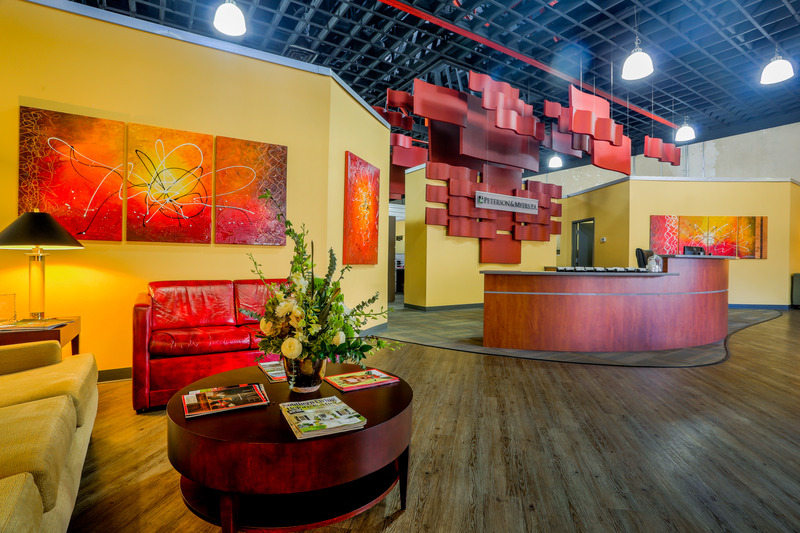 One of the main challenges in merging the offices was integrating the existing furniture from two differing office environments; the Lake Wales office had a more traditional style, while the Winter Haven location sports more modern pieces. WMB-ROI paired the wood finishes and colors of the furniture, finding commonalities that could be combined in the shared spaces to make for a seamless merger. 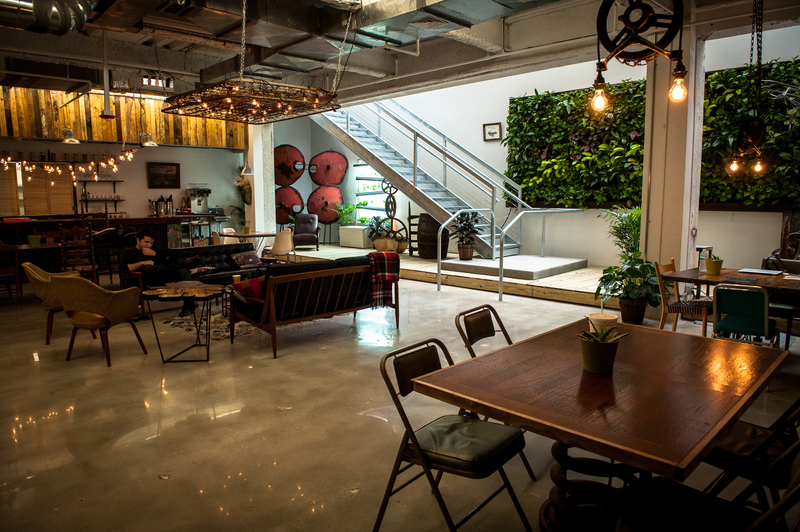 In the end, WMB-ROI delivered a transformation from mainly traditionally styled offices to a beautiful, contemporary work space that strikes a balance between open interaction and individual focus. 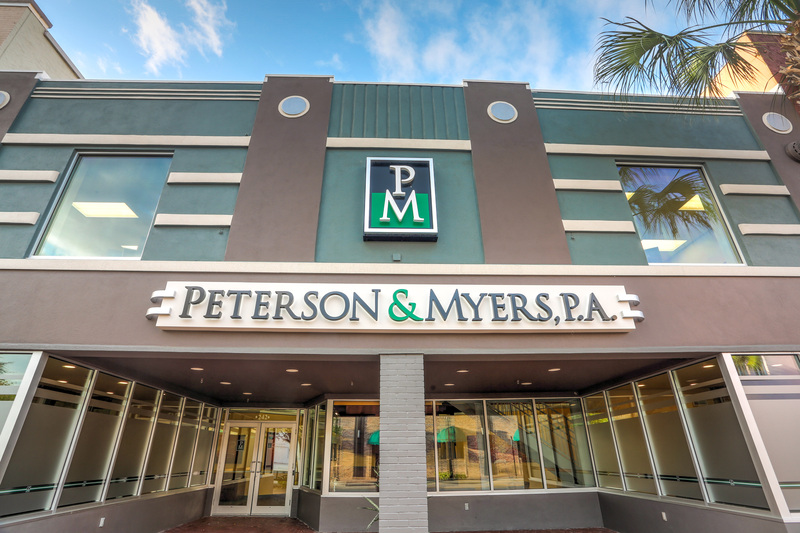 Owner: Peterson & Myers, P.A. LAKELAND 110 South Kentucky Ave.
© 2019 Wallis Murphey Boyington Architects, Inc. All Rights Reserved.